I'm sure many scientists have had the typical "media experience". A journalist arrives at your office knowing only what they've read in a press release. They ask a few questions and you pose for the cameras in a white coat. It's hardly telling the whole story, is it? But, as a journalist, let me defend my profession. These "smash and grab" visits are normally the only access we have to scientists, who avoid publicity until every experiment’s complete and every paper’s peer reviewed. It’s only then do scientists discuss their work with the media… But it's too late to capture all the effort which led to discovery. As a TV journalist, it’s incredibly frustrating to hear a scientist sit at their desk and say “I spent three weeks digging trenches in a rain-soaked field collecting these samples” and yet none of the work is on film! Over the next year I hope to change that. 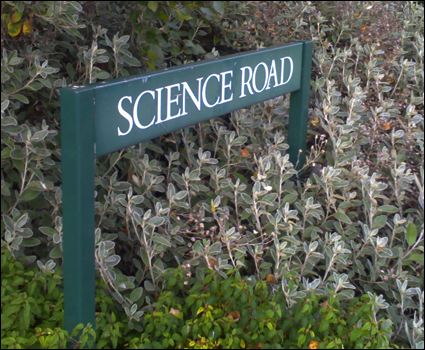 Backed by Nottingham Science City, I'm making a documentary film about a year in the life of scientists. I’ll be regularly visiting them and documenting the reality of science - from the mundane to the exciting. But I'm not only producing a one-off film. I'll also be broadcasting and publishing raw material, photos and articles on a weekly basis, updating people about the film and featured scientists’ work. Material is also being distributed via other channels, such as the YouTube video sharing website and Facebook.